After looking at the Imagination credits I am quite intrigued. I saw that Bruce is on the album singing backgrounds, does anyone have a song or part of a song where he is clearly audible? I think Bruce being on this album is really interesting, given what was going on with The Beach Boys in the late 90's. Brian is also credited as playing drums, does anyone know what song(s) he plays drums on? Also, on an unrelated note--- do you think Al will ever tour with his Endless Summer band again? I know he's quite busy doing shows with Brian and doing his Postcard storytelling shows, but I wonder if he will ever reunite the band he had been playing with consistently for many years, as I understand it, until around 2014. At least as far as I can remember, he hasn't played with that band in a few years. It's a solid group of musicians that I'd love to see come together again. I just watched James Taylor singing the national anthem at Fenway Park for the first game of the World Series. 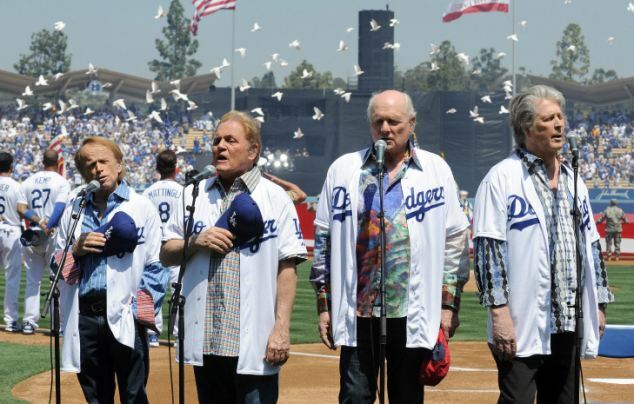 I was thinking it’s a shame that The Beach Boys aren’t together, they would have been a perfect choice for the first Dodger Stadium game of the series. Is that the boys playing on Graduation Day, or did they get session musicians in? Why wouldn't it be? It's Carl on Acoustic Guitar and that's it. Here is more information, Thanks to Mr. Slowinski. http://www.tiptopwebsite.com/files/craigslowinskicom.pdf?734#page=45 Scroll down to page 70. Well, it's actually Electric Guitar that Carl plays on that track. Ah, Wikipedia - wrong again. Bruce does not sing on the album (according to the actual album credits), but he did join Brian for a couple of live performances of songs from the album upon it's release, including the full length video produced for TV and later released on VHS/DVD. 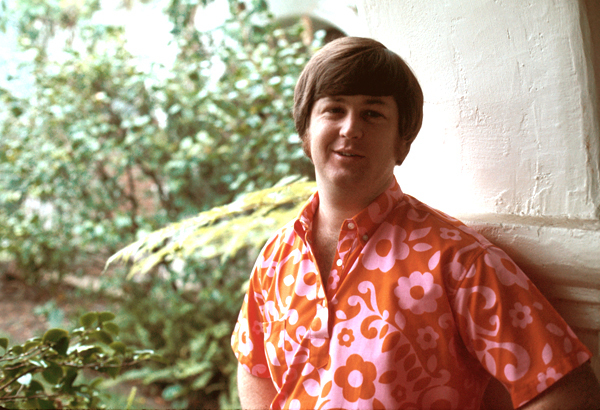 Nor is Brian credited with playing drums on the album - although if memory serves, in that same video there is a clip of him in the studio sitting at the drums playing the intro to "Be My Baby" as means of demonstration. So, perhaps whoever posted those credits on Wikipedia was going by the video, not the actual album credits! So what is the real story behind the boys getting the instruments for Surfin'? There's the most "famous" one, which is them using the money for food and spending it on instruments. But i've heard that it was actually Alan's mother who gave them the money. So, which one is true? Are both of them true? Good question....I was under the impression that it was indeed Al's mother. Pretty convincing telling from Al. Another point. Wasn’t there some discussion and evidence about whether the Wilsons went to Europe rather than Mexico? Putting aside the later reputations of some of the posters, here is the thread mentioned above. 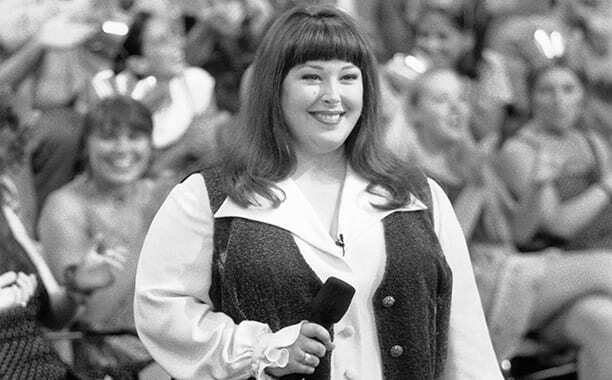 I just saw a picture of Wendy Wilson and was shocked by how much she reminds me of Diane Rovell. Am I the only one that sees the resemblance? Undeniably easy to see why myKe luHv wears a hat all the time. In his case. I'd think about wearing it while sleeping as well, that is if he can sleep. I can definitely see young Brian in Carnie. Carnie's mouth/ teeth look like Marilyn's. The other face features - Brian's. Wendy doesn't look like Diane - she's pretty girl. Diane's face differs, it isn't as good-looking. I'd seen the pics. Diane's got rough face. Wendy is pretty. I don't see resemblance. Sure, niece with aunt weirdly can look perhaps similar but not Wendy with Diane. Interesting footnote: in rocky pimple book thread BBs fans defend random writer trying to sell book, obviously *due to it* willing to answer questions; they didn't side, strangely, with BBs fan who cares about the board & been in it since 2012. As they say, "nice". And in maybe the most worthless post on this boards history, I was watching "The Old Man & The Gun" Robert Redford's last film, him and Sissy Spacek go to the movie, it's "Two Lane Black Top" small clip, no Dennis! Sorry I wasted your reading time! I’m still trying to figure that one out myself! I like Sissy Spacek (dislike Robert Redford). It's fun to read various BBs trivia, even distantly related, wouldn't say it's "worthless". Definitely isn't time waste either - it's short post, i.e. reads fast. Does anyone know who plays what on the stunning 1973 BB demo version of "River Song"? Homage to the glory days? Mike & Bruce already have shows booked for March of next year... Does that mean we can't anticipate the reunion that's been talked about? Could it still happen in later in the year? Powered by SMF 1.1.21 | SMF © 2015, Simple Machines Page created in 0.27 seconds with 22 queries.